Now K-beauty is clearly a big thing, although I must say I was never motivated to go out of my way and pay markups for overly cutesy stuff. Maybe it is because Korean makeup is something I remember from a decade ago and it's not that great at least in my memories. Recently I've been exchanging a few of care packages with my long-time online friend in Korea. She is a real beauty guru and has similar skin tone as me. And she emphasized that this Beauty People Lip Tattoo Strawberry was a MUST. Boy oh boy, wasn't she right. 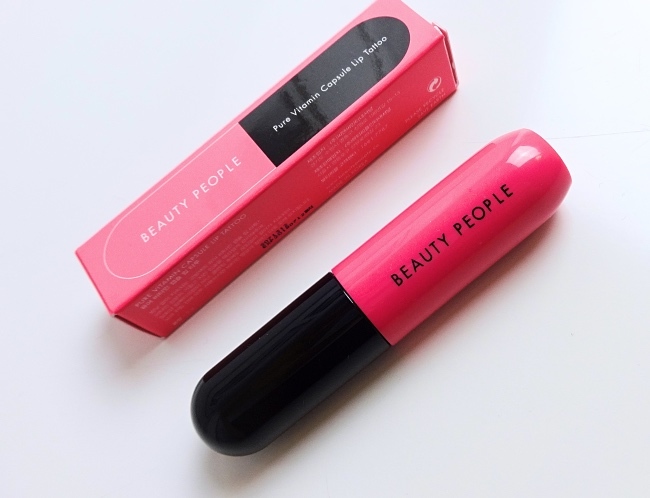 Beauty People Lip Tattoo comes in a clean and sturdy tube with a great applicator. It is suggested to wear overnight to achieve a long-lasting yet natural stain, which I think is a bit crazy because it is just really really long-lasting as it is. 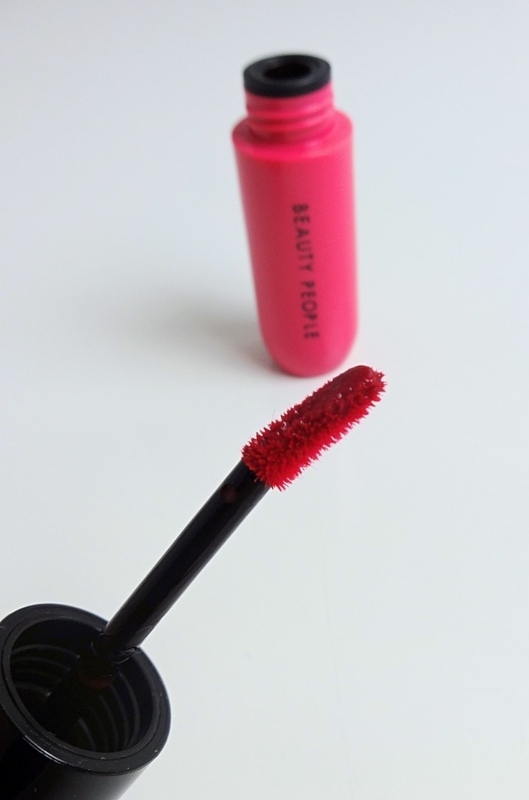 It is super-pigmented as well. Strawberry is a bright blue red that almost flashes neon. The swatch was made with a breezy one swipe. On lips, it is deeply (and quickly) staining and it lasts and lasts. For this, I only applied a little in the middle and smudged the color outwards as I prefer slightly messy lip lines when I wear a full coverage one like this. Full on, this blows MAC Ruby Woo out of the water. I don't do gradient lips (it's just not me), but I can see Beauty People Lip Tattoo would be great for the look. It stains evenly unlike the few other products that I've tried which usually leave blotchy bald spots in the middle of my lips. 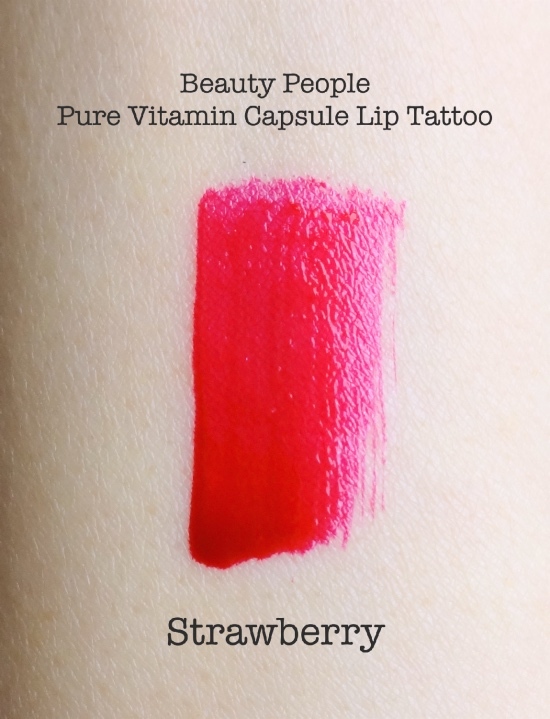 Amazingly, Pure Vitamin Capsule Lip Tattoo isn't even drying, but you can top it with gloss or lip balm which won't really affect the color intensity. I personally like to wear it like a semi-matte liquid lip color. 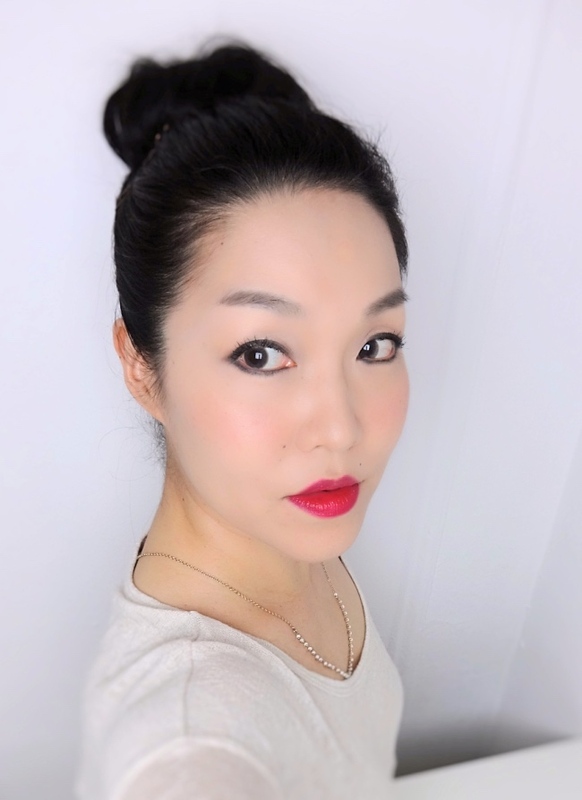 Here is an overall look with Beauty People Pure Vitamin Capsule Lip Tattoo Strawberry. 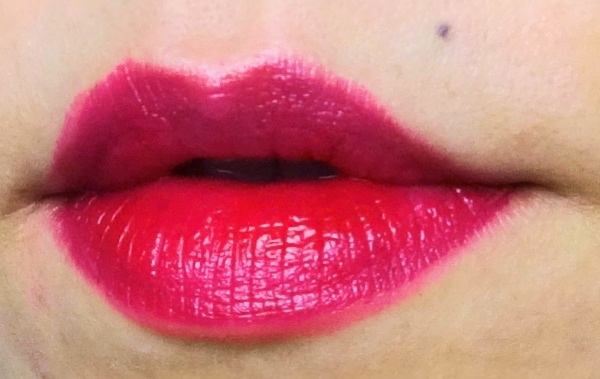 For a lippie that is under $5, Beauty People Lip Tattoo is truly amazing. Of course, you have to pay about $10 for a tube to get it here in the U.S. I'd say it is still well worth the money. I liked it so much that I asked my friend for a lighter color, which I hope to write about soon. This time I am really determined to blog more often. Now I have many interesting things I wanna talk about so I hope it is easier to keep going. Hope you had a great thanksgiving weekend. Have a nice week ahead, Rowena! SO so SO pretty and so Lena!! Looks beautiful on you!